Bali is one of the top travel destinations in Southeast Asia. It’s a bucket list destination for travellers all over the world thanks to its beautiful temples, stunning nature, friendly locals and more! There’s so much to see on the island from the lush green Tegalalang rice terraces to towering volcanoes to breathtaking waterfalls. It really is easy to see why the island has become so popular. 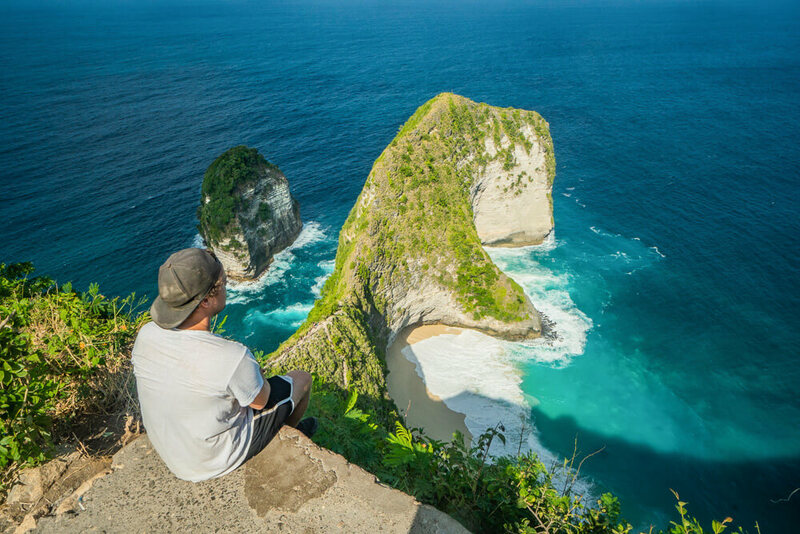 But there are a number of travel tips that everyone visiting should know before they go, particularly if you’re travelling to Bali for the first time. We spent 2 months exploring the island during 2018, which allowed us to find out everything we possibly could to help make other travellers well prepared for their trip. 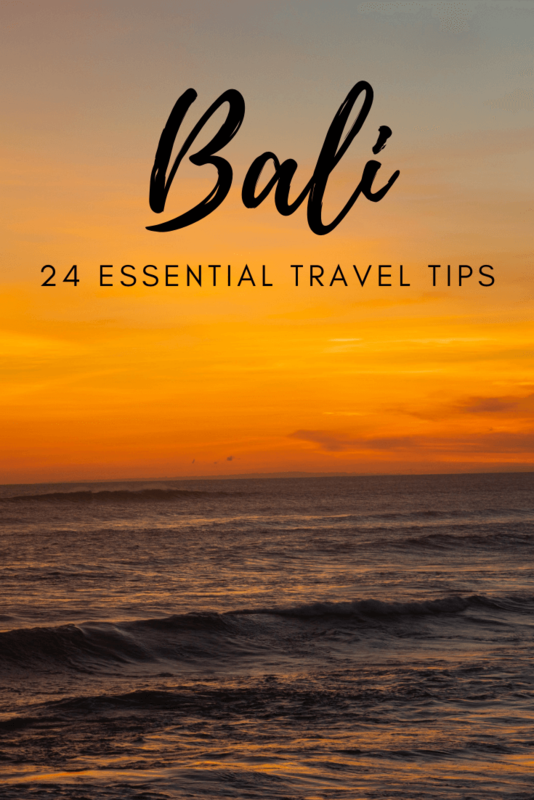 This blog post covers the 24 best tips for travelling to Bali that everyone should know before they travel there. Looking for more help planning your trip? Check out our 2 week Bali itinerary and this list of what to pack for your visit! Unfortunately unethical animal experiences are common in Bali, with elephant rides being a particularly big problem. While the idea of riding an elephant may seem fun and exciting, the sad truth is that the animals are poorly treated and exploited in order to make money from tourists. Unethical wildlife experiences such as elephant riding have resulted in Bali being listed as one of the worst destinations in the world for animal cruelty. Another example of cruelty to animals is found on the nearby Gili Islands of Lombok, which are frequently visited by tourists in Bali. Horses on the islands are forced to cart tourists and their heavy luggage around the island. They are overworked to the point of exhaustion as well as being whipped and beaten by their owners. On average horses live 25-30 years, yet on the Gili Islands the average life expectancy of the horses is just 1-3 years. One of the most popular activities in Lovina beach is to go dolphin watching. Although the dolphins are in the wild, they are relentlessly chased by up to 100 boats in order for tourists to catch a glimpse of them. The dolphins are often overcrowded and intimidated in their natural habitat. 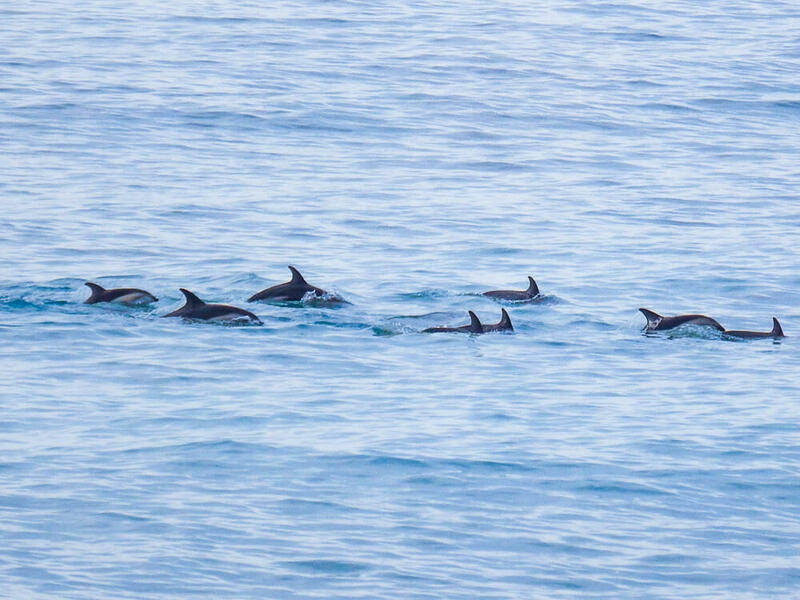 It may seem ok as they are in the wild, but it still puts the dolphins’ wellbeing in danger. Unless tourists start refusing to pay for unethical animal experiences then they will continue to take place. It’s important to exercise caution regarding wildlife encounters, as in many cases they put the animal’s welfare in danger. We strongly urge you to avoid funding the continuation of animal cruelty. If you want to visit the Gili Islands, Nusa Penida or even Lombok, it’s best to book your ferry in advance. This is especially the case during peak/dry season (April to September) as ferries regularly sell out at this time of year. You can easily book ferries online through 12Go with the rates generally being the same as if you bought them in person at the pier. The advantage of booking in advance is that you guarantee you can travel on your desired dates. 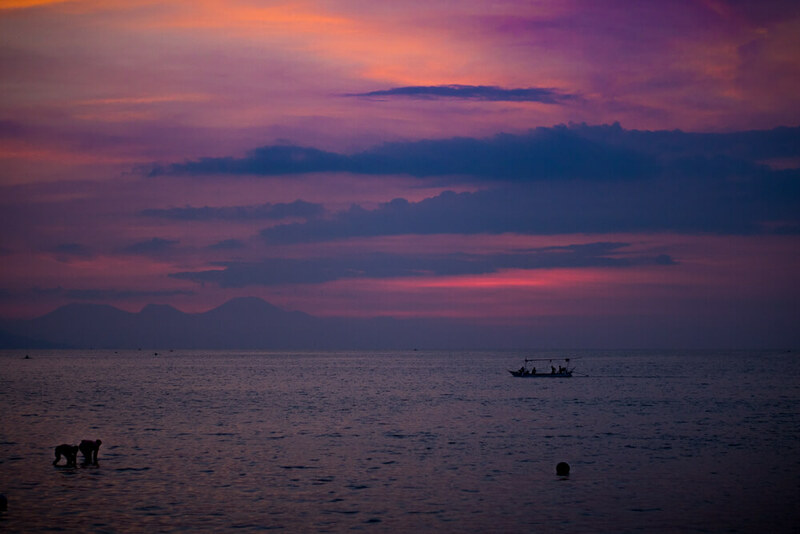 Click here to book ferries from Bali to the Gili Islands, Nusa Penida, Lombok and more! If you’re planning on visiting the Gili Islands it’s important to know that there is no port at arrival. The boat will simply dock at the beach and you will have to wade through the sea to shore. This isn’t too much of an issue, but it’s important to know as you won’t want to be wearing your shoes at this point. There are currently no proper ports at any of the Gili Islands or at Sanur on Bali itself. The easiest way to deal with this is to have flip flops or waterproof shoes to use when catching a boat to/from any of these places. Depending on the boat company you use, you may have to carry your own bag as you wade through the shallow waters to/from the boat, although the better companies will generally do this for you. The ATMs in Bali work differently to the rest of South East Asia. Each cash machine can only dispense one value of banknote, so some cash machines will only provide 20,000 Rupiah notes whereas others may only dispense 50,000 Rupiah notes. The highest denomination of note provided at an ATM is 100,000 Rupiah. Cash machines will say the value of banknote that they provide and the maximum withdrawal limit varies depending on the banknote value. For example, you will generally be able to withdraw a greater total amount from a cash machine that dispenses 100,00 Rupiah notes compared to a cash machine that only dispenses 20,000 Rupiah notes. In terms of the maximum withdrawal amount it will vary depending on each machine. The maximum withdrawal we found was through a Permata ATM, which allowed us to withdraw 3 million Rupiah in one go, although we were charged a small fee. We were also able to withdraw 2.5 million Rupiah from a Mandiri ATM with no charge, which overall is a better option. We recommend using a Revolut card for your trip as it offers the best exchange rate and the card itself charges no fees for withdrawing cash abroad. The exchange rate through the card is so good that we never even exchange cash before we travel anymore as we end up getting a better rate by withdrawing on our Revolut card on arrival. 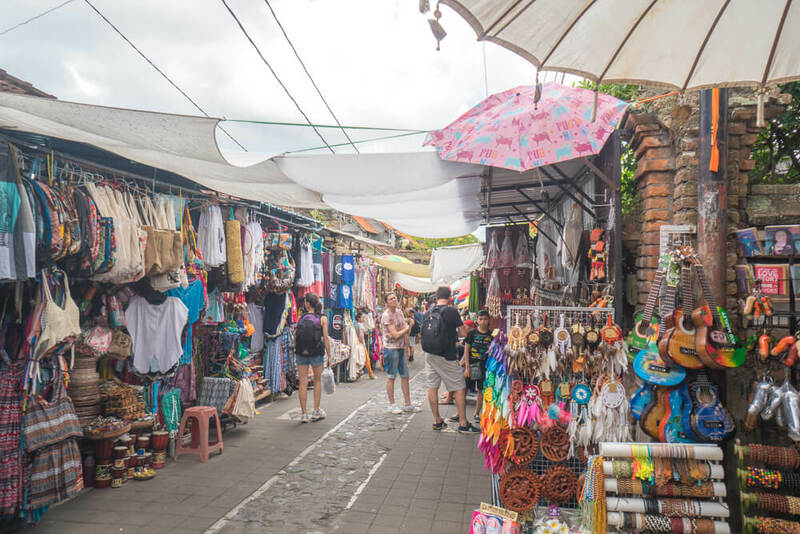 In Bali you can use cards to pay at many restaurants and hotels in tourist areas, but you will need cash for markets and less touristy areas. If you want to stay connected during your trip we recommend getting a local SIM card with data. We found the Wifi in Bali to be slightly unreliable – not the worst we’ve had, but it wasn’t great either and cut in and out quite a lot. Although you can buy a SIM card when you arrive at Denpasar airport, they are massively overpriced in order to trick tourists into spending more than they need to. It’s easy to find a local SIM card somewhere like Ubud if you wander between shops and ask to buy one. Make sure to shop around to get the best deal as different places will offer different things. Telkomsel SIM cards are generally the most expensive but offer the best coverage. We opted for an XL Axiata SIM card as it was a much better price. In our experience XL Axiata provide good service in Bali as well as Java and Komodo. As of April 2018 there is a law requiring all SIM cards to be properly registered in Indonesia, so if your SIM card is not properly registered it may either not work or cut out after a short period of time. After around a month of having our SIM cards they cut out and we had to buy new ones as the only way we could register was by going to Denpasar. Make sure to check at the time that your SIM card has been registered properly when you purchase it so you can avoid it cutting out, although you may have to go to the store of a network provider to purchase your SIM in order for it to be properly registered. In terms of pricing we were able to get a SIM Card with 11GB of data for around 60,000 Rupiah (approximately $4.25 USD). At the airport you can expect to pay around 250,000 Rupiah for just 8GB of data. For more information we recommend reading this guide to SIM cards in Indonesia. Bali is an increasingly popular tourist destination and as a result parts of the island have become very busy. This means it’s a good idea to book transport and accommodation in advance as places will book up quickly, especially during peak season! It’s also worth knowing that the roads in Bali can be very busy, which can delay travel times significantly. Although it should only take around an hour to drive from Denpasar airport to Ubud, it can often take up to 2 hours due to heavy traffic. If you take day trips around the island it is also quite likely you will get caught up in traffic, particularly near popular attractions. 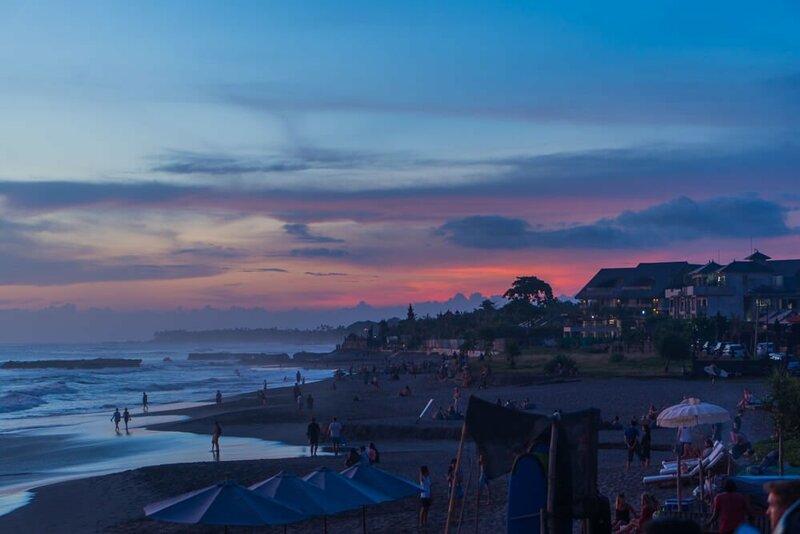 Most people who visit Bali head to the same destinations – with Kuta, Seminyak, Nusa Dua, Uluwatu, Legia, Canggu, Ubud and Lovina proving to be some of the more popular places to visit. These towns have become overly touristy and aren’t a true representation of Balinese culture. Many of the towns have been transformed for tourists, with a number of western-style bars, hotels and restaurants. There’s nothing wrong with visiting these places if that’s what you’re looking for, but it’s worth knowing in advance! 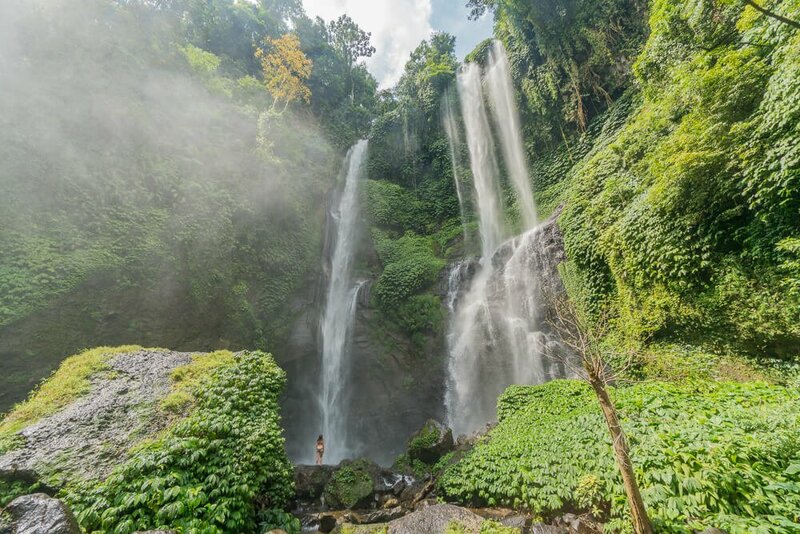 If you want to see more than just tourist towns then one of our top tips for travelling to Bali is to get away from the South of the island. There are plenty of more authentic Balinese towns and villages to discover in the North, East and West of the island. Personally our favourite off the beaten path spot in Bali is the small village of Munduk in the North. Visiting places like Munduk allows you to get away from the crowds found elsewhere on the island and get a better feel for Balinese culture. If you aren’t worried about getting a little bit wet then consider visiting Bali between October and March. This is the island’s rainy season and so there are less tourists about. Generally it will only rain for an hour or two a day, but some days can be a lot worse – particularly during December, January and February as these are the rainiest months. 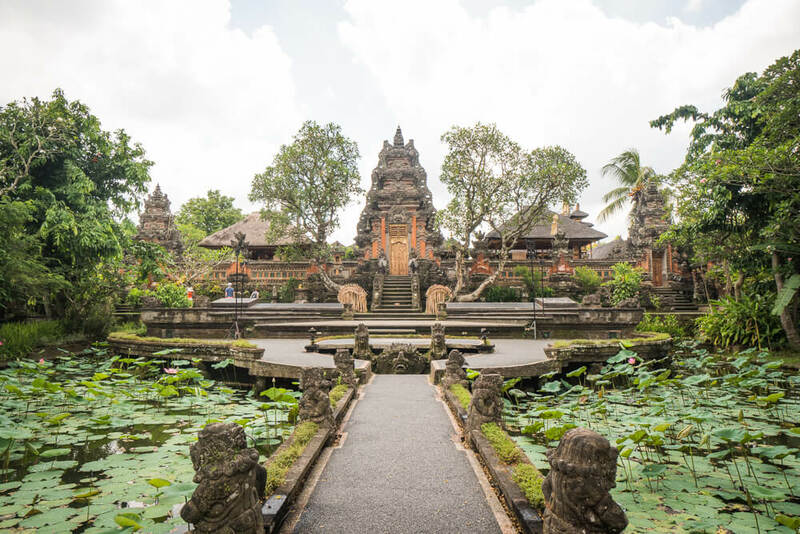 Visiting Bali during the off-season means you can have a quieter and cheaper holiday as attractions will be less busy and there are often great deals on accommodation. In particular, you can find heavily discounted rates for some high end resorts on Agoda. Click here to find yourself great value accommodation in Bali on Agoda! It’s possible to do Bali on a budget if you’re willing to sacrifice some luxuries, but if money is no object then you can spend as much as you want. Westernised bars and restaurants are generally a lot more expensive than the local ones. For example, the popular Potato Head Beach Club in Seminyak charge close to Western prices for food and drink. There are also plenty of high end resorts catering for those looking for a luxurious getaway. If you’re looking to treat yourself then there is definitely plenty of choice! If you’re travelling on a budget then you should avoid upscale bars and look for cheaper alternatives and take advantage of happy hour deals. You can find great value accommodation in the form of homestays in hostels. Homestays in particular are a bargain as you can often find private rooms with air conditioning for around $10 USD per night! To enter temples in Bali you will need to dress modestly, which means your shoulders and knees must be covered. This applies to both men and women. Even if you are fully covered you may also be required to wear a sarong while visiting certain temples. In some cases use of a sarong is included in the entrance fee, but other times you may have to pay a small fee to use one. Outside of some temples local vendors may try to sell sarongs to you and insist that you need one to enter. Often they are just trying to make money, so make sure to check at the entrance before buying from them. In most cases you will be able to borrow one for free or rent one for much cheaper. Either way, it’s important to make sure you dress respectfully when visiting religious sites around the island. Indonesia is prone to earthquakes and volcano eruptions due to its location in the Ring of Fire. 2018 was a particularly devastating year for the country due to a number of large earthquakes, a tsunami and a number of eruptions. The impact of these natural disasters will be felt for months, if not years. Although these disasters did not affect Bali itself, it is possible that Bali could be affected in the future. 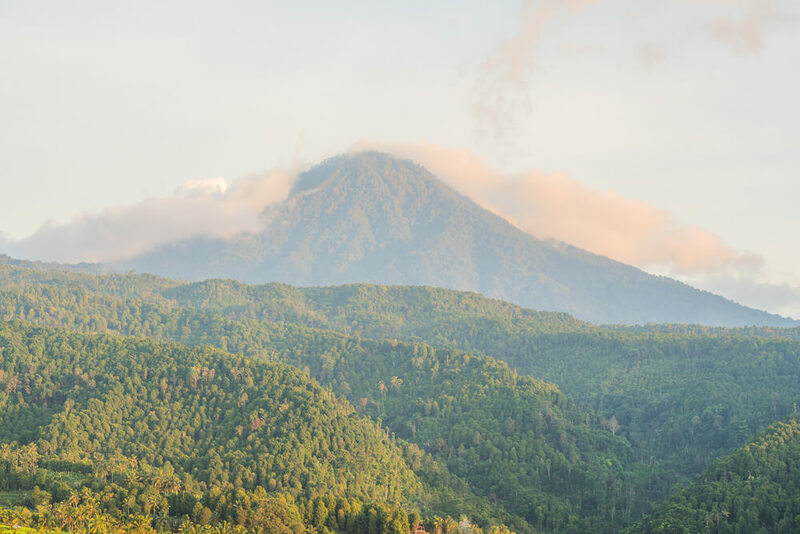 In 2017 volcanic activity levels were high at Bali’s Mount Agung, causing the surrounding areas to be evacuated. Although there was no major eruption it caused significant disruption. 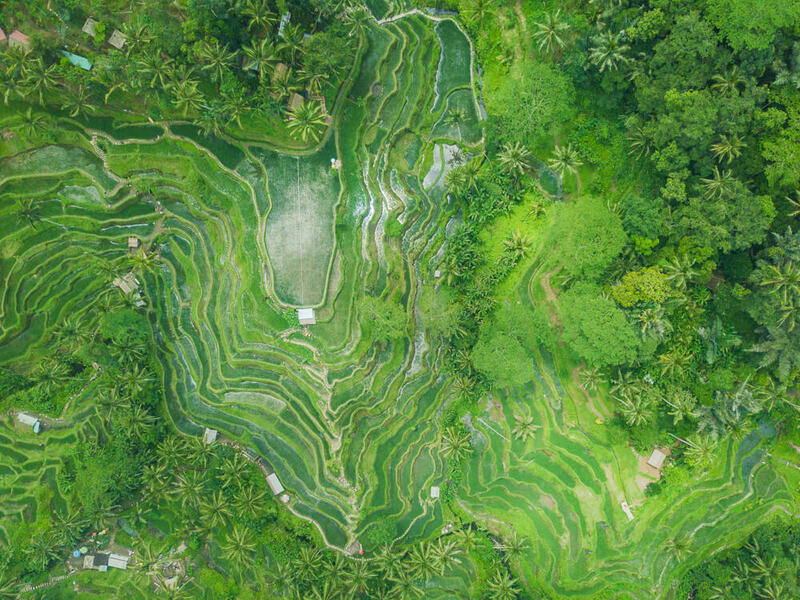 In general Bali is a safe place to visit, but it is important to be aware there are slight risks in terms of potential natural disasters – so don’t forget to get travel insurance! Click here to get a travel insurance quote from World Nomads within minutes! Unfortunately, there is no best time to visit Bali to avoid natural disasters. Although the island hasn’t been badly affected recently, that doesn’t mean it won’t be in the future. It’s fairly common for travellers to Bali to suffer from an upset stomach due to gastroenteritis, which is often referred to as ‘Bali Belly’. Symptoms include abdominal pain, vomiting, diarrhoea, a mild temperature, weakness and discomfort. The illness can be treated and usually clears up within a few days to a week. Bali Belly can be caused by a change in diet or bacteria found in local food or drinking water. It is hard to avoid getting Bali Belly, but your best bet is to check restaurant reviews on tripadvisor before eating there. If there are reports of bad hygiene or more than one person eating somewhere and getting ill then we advise eating somewhere else. This isn’t necessarily a foolproof way of avoiding it as me and Natalia ate the exact same meals from the same places but only I got ill. If you do get Bali Belly then it’s important to maintain good hygiene as it is contagious. Depending on your symptoms you may want to find a doctor to visit, which is another reason to make sure you have good travel insurance! The tap water in Bali isn’t safe to drink. Fortunately though, big bottles of drinking water are inexpensive so it’s relatively cheap to stay hydrated in the Bali heat. If you want to reduce your plastic usage in order to be more environmentally friendly then we recommend buying a refillable water purifying bottle. These bottles filter dirty water and make it safe for drinking – meaning you won’t have to constantly buy drinking water during your trip! Most restaurants in the main tourist hotspots of Bali will add an extra 20% tax/service fee to your bill. This is the case for the majority of restaurants on the main streets of Ubud, Kuta, Seminyak, Legian and Canggu as well as along the beaches in Jimbaran. This tax should be stated on the restaurant menu, although it may be in small writing so make sure to read carefully! Even in tourist hotspots it is possible to avoid eating at places that add this fee to the bill. If you opt to eat at local warungs then they generally won’t charge this fee. These warungs are easy to find it you go down side streets and away from the main tourist areas. As a bonus, we found the food at warungs was actually better and cheaper than at the restaurants! Tipping is not compulsory in Bali/Indonesia, but if the food and service is good we recommend leaving a tip of around 10%. A small amount of money goes a long way for the Balinese people, so if you can afford it then it is definitely a nice gesture. In 2015, the Indonesian Government raised the tax on alcohol. There is now a 150% import tax on any alcoholic drinks with a content of less than 80% alcohol. As a result of this, branded alcohol prices in Bali are some of the most expensive in South East Asia. Bars often serve local alcohol instead to make it cheaper, but expect to pay more if you’re hoping for Jack Daniel’s, Bacardi or another imported spirit. You can find regular happy hour deals in most bars, and in general the cost isn’t too high so it’s not something to worry too much about! Indonesia has very strict drug laws and so being caught with illegal drugs in Bali can lead to the death penalty. Do not take illegal drugs whilst on the island or anywhere else in the country. It simply isn’t worth the risk. If you take drugs for medicinal reasons such as codeine, don’t take them to Indonesia. Some prescription drugs that are legal in the UK and US are completely illegal in Indonesia and so the punishment will be the same as for recreational drugs. Make sure to do some research in advance and look up which medicine you can legally bring to Bali and Indonesia. Most people assume that Bali will have great beaches. Although there are a few reasonably nice ones, Bali itself isn’t the best place for a beach escape. In particular, the beaches in Kuta, Seminyak and Canggu aren’t the nicest, partly due to the increasing amount of plastic waste found there. Don’t let that put you off though, there are some nice beaches to visit on other islands nearby. We recommend heading to the Lombok’s Gili Islands, Nusa Penida or Lombok itself if you’re looking for nice beaches! With new visa regulations, it’s never been easier to visit Bali! If you hold a passport from one of these 169 different countries then you are eligible for a free 30-day visa, as long as your passport is valid for at least 6 months from the date of arrival. You do not need to apply for the visa in advance as it is part of the visa exemption scheme. Simply turn up to Bali/Indonesia and you will be allowed visa free entry for 30 days. It’s worth noting that this visa cannot be extended, so if you wish to stay for more than 30 days you will either have to leave the country and come back or explore other options. If you do wish to spend over 30 days in the country then one option is to pay for the Visa on Arrival. This costs $35 USD and, as the name suggests, can be purchased upon arrival in Indonesia. Although this visa is only valid for 30 days, it can be extended for a further 30 days. To extend the visa you can either do it yourself or pay someone to do it for you. If you opt to do it yourself you will have to visit the immigration office multiple times, whereas if you pay someone to do it for you then you will only need to go there once. We personally found it easier to pay someone to do it for us to save the hassle of doing it ourselves so that we could enjoy our trip. If you do plan on extending then we recommend reading this guide on how to extend your Indonesian visa. The main ways of travelling around Bali are by taxi or scooter/bike. Travelling by taxi is an easy and safe way to get around, whether you’re looking for transport between towns or to go on a day trip. Taxis are easy to find in tourist spots as drivers will be on the streets approaching tourists to see if they need a ride. You can also find taxi drivers online if you search for taxis in your location. Whatever you choose, be prepared to negotiate and agree on a price with the driver before getting into their car. They will try to overcharge you so do some research in advance. Travelling by taxi is the most expensive way of getting around, but it is still fairly good value. If you don’t want to pay for a taxi then you can travel around by scooter. Travelling by scooter is a lot more affordable, especially as you will often get a better rate the longer you rent the scooter for. You should expect to pay anything between 40,000-80,000 Rupiah per day. Roads in Bali are generally in good condition, except for on Nusa Penida island. Although many tourists opt to travel by scooter in Bali, unless you have a proper license it isn’t technically legal. If you end up in an accident your travel insurance won’t cover you if you are found to have been riding illegally – so make sure you either have a license or are aware of the risks such as potentially serious injuries and large medical bills. Public transport isn’t widely available in Bali, so realistically taxis or scooters are your main options. Some shuttle bus companies, such as Permata, offer services between set locations, but other than that there aren’t many other transport options available to tourists. Grab is the South East Asian equivalent of Uber, so it’s worth downloading the app for your trip. Getting a grab in Bali can be slightly complicated as the local taxi mafia hate online taxis. This is because the local taxi drivers massively overcharge tourists whereas online taxis through Grab charge much more reasonable rates, meaning the local drivers lose out on business. If you order a Grab it’s common for the driver to message you to arrange a meeting place. This is to avoid being seen by local taxi drivers who will often confront them if they realise they are a Grab driver. You may see signs in places like Ubud and Canggu encouraging you not to use local taxis instead of online taxis to support the community. In reality it is completely legal to use Grab and it will save you a lot of money as local taxis will almost always try to rip you off. In some cases a Grab driver may message requesting more money than the price offered by the app, but in this case just cancel the trip and request another driver as most are willing to honour the price displayed by the app. Other online taxi apps available in Bali are Blue Bird Taxis and Go-Jek. Blue Bird Taxis run on a metre so you won’t have a set price before the journey, whereas Go-Jek is similar to Grab as the app provides a price in advance. Go-Jek can also be useful as it also offers the option of ordering a moto-taxi. As soon as you walk out into the arrivals section of Bali’s International airport there will be a herd of taxi drivers yelling at you. They will try their best to convince you that they are offering a fair price but in reality they will completely rip you off. Don’t be intimidated by them and simply tell them you already have a driver arranged. If you head to the airport taxi counter then they have a set fee for each destination. In almost every case these set fees will be cheaper than what any other driver offers. Alternatively you can pre-book a taxi driver through your accommodation to pick you up at the airport. A big advantage of pre-booking is that your taxi driver will know exactly where you are staying. As there are many hotels dotted all around Bali, the drivers don’t know where all of them are. If you’re arriving at night it is particularly useful to pre-book a taxi as the last thing you want after a long flight is to spend an extra hour finding your accommodation. It’s also possible to catch a Grab from the airport, however it is slightly more complicated as Bali’s taxi mafia try to stop tourists doing this. If you have Wifi or mobile data you may be able to arrange a Grab to pick you up near to the domestic arrivals section of the airport. Although this is generally cheaper, it can take a lot of time for a driver to come so it’s often easier to pay more in order to leave the airport quicker. Nyepi, also known as the Day of Silence, is a public holiday in Indonesia. The holiday is a Hindu celebration and is mainly observed on the island of Bali. It is a day of self-reflection during which Balinese Hindus must observe four prohibitions – no fire/light (including no electricity), no work, no travel and no entertainment. Some people also do not eat or talk for the duration of the holiday. Nyepi falls on a different date each year (usually in March) and is observed for 24 hours from 6am. The Day of Silence can cause complications for travellers visiting or planning to visit Bali during this time. As travel is prohibited, Bali’s Denpasar airport completely shuts down for 24 hours during Nyepi, meaning there are no flights to or from the island. As of 2018, mobile internet is turned off on the island during Nyepi. Nobody is allowed outside during the Day of Silence except for the Pecalang – traditional security men who patrol to ensure the prohibitions are being followed. This means tourists must stay in their hotel/accommodation all day in order to respect the local culture. If you are in Bali during Nyepi then you will have to account for one day of your trip being spent in your accommodation without too much to do. If you are staying in a high end resort you will probably still have electricity and should be ok to use the facilities such as the pool normally, but it is worth checking in advance. If you are staying at mid-range or budget accommodation there is a good chance you will have no electricity for the day. As the Day of Silence is observed by the majority of Balinese people you may need to stock up on food and drink for the day in advance so that you have everything you need. If Nyepi does fall during your visit you may be able to witness some of the rituals/processions leading up to and following the event. 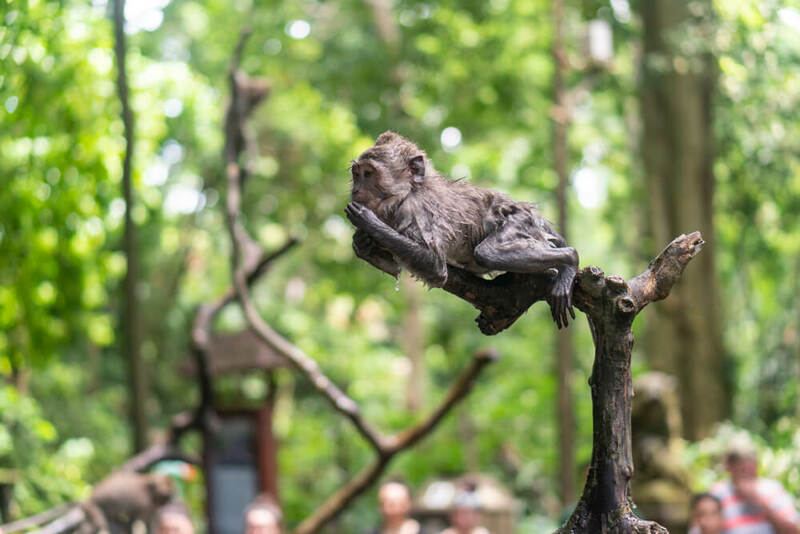 Click here to find out tips on what to do if you’re in Bali during the Day of Silence! Many homestays and hotels in Bali offer laundry service. To get a good price you will generally need to head to the outskirts of the town, as central locations will charge more for the convenience. In the centre of Ubud prices are around 20,000 Rupiah per kilo, but around a 10-15 minute drive outside of the town prices are as low as 5,000 Rupiah per kilo. If you’re on a tight budget and have rented a scooter it’s probably worth doing laundry out of town to save money. Some laundry places in Bali, particularly in Ubud, have a reputation for stealing clothes from customers. To avoid this happening you should check reviews online in advance. It’s also worth counting out your clothes in front of them before and after the wash so you can tell for sure if anything has gone missing. 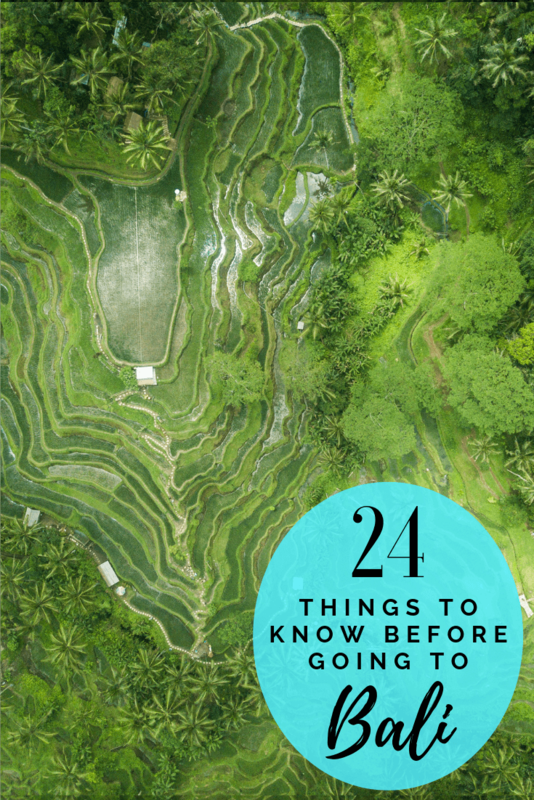 Like this blog post on the 24 best tips for travelling to Bali? Pin it!